Here’s a new deadman gig! 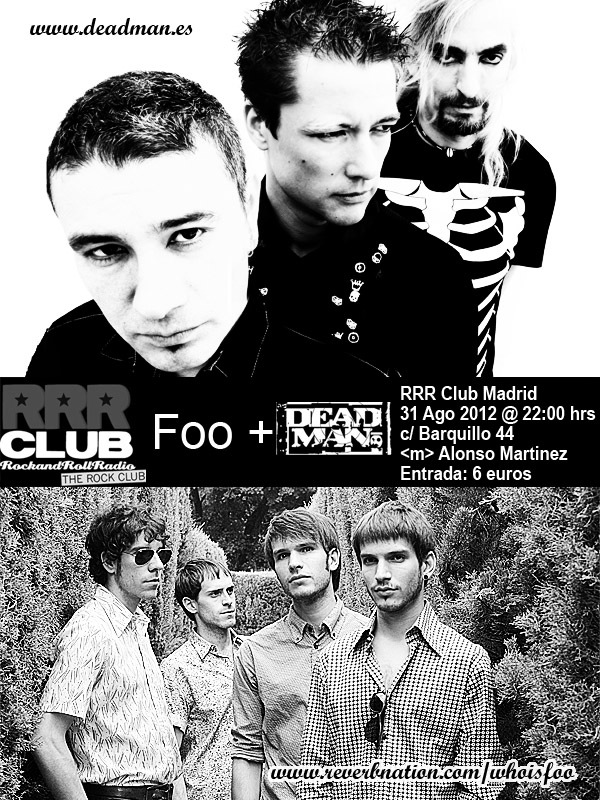 We will be back on stage this coming 31 August at RRR Club in Madrid. We’ll be playing with brit-influenced indie rockers Foo from Lleida. Should be fun! At this deadman gig, we will be performing some new songs as well as some classics from our debut album. Thanks to Foo for inviting us to play with them! We hope to see you there on the night!